We are here to develop and give effect to the legal arrangements needed to help you achieve your commercial objectives and manage business risk. We find clients appreciate our commercial insight as much as our technical excellence and detailed knowledge of Company Law. 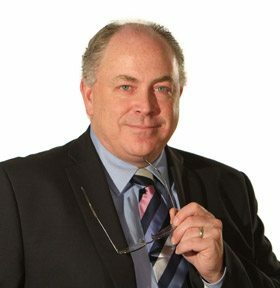 A specialist in the area with over 20 years of experience, partner John Porter has built up a formidable reputation having acted in many high profile company, commercial and employment matters. With two offices in Oldham and Todmorden, we have specialist solicitors with the knowledge and experience you require. Whether you’re considering a company merger, acquisition or joint venture or are in the midst of a shareholder dispute or share capital transaction, you can rely on John for solid, sound advice and support. If you are thinking of setting up a business we can also help. Without legal advice and knowledge of business and company law it can be a minefield, particularly where legal matters are concerned. Too often it is not until matters reach crisis point that people ask for a solicitor’s help. But by then, if a solution is available, it is much more costly than taking simple action that could have prevented the problem in the first place. We can help you identify possible problems and take steps to prevent them – protecting your business from risk and saving you money. We see our job as taking the burden of legal concerns, compliance, regulation and business disputes from the shoulders of our clients so that you can get on with running your business. Knowledge – We are specialists in business and company law, with the expertise required to help take your business forward. Experience – With decades of experience working as solicitors and within business law, each coming with our own area of expertise. Solutions – As well as helping you identify possible problems and taking the correct steps to prevent them, protecting your business from risk and saving you money we can also help solve any problems that may arise. Ideas – We always keep on top of the latest developments in business management, finance and law. If we find a new and better way to do things, we’ll put it straight to work to take problems off your desk. Time – We deal with matters that can distract and divert you and burn up precious time, leaving you free to get on with what you’re best at, running and building your business. Trust – We’re an independent family law firm, beholden to no one but our clients with years of experience. Future – We see ourselves as an extension of your business, so we share your vision and ambitions. Tell us where you want to go, and we’ll help and support you on the journey.